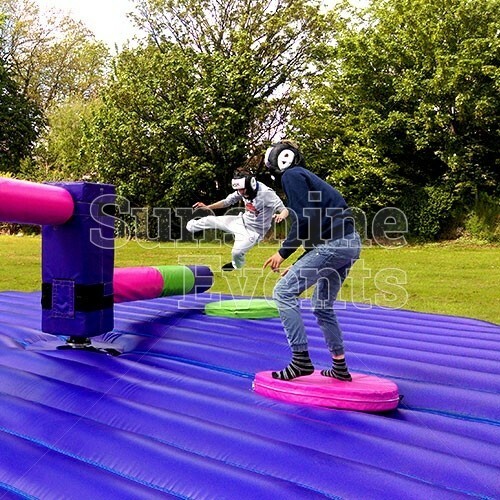 Inspired by the popular TV show, the Wipeout Challenge is a fantastic inflatable activity that will have even Richard Hammond whooping in glee as players are knocked from their podiums. 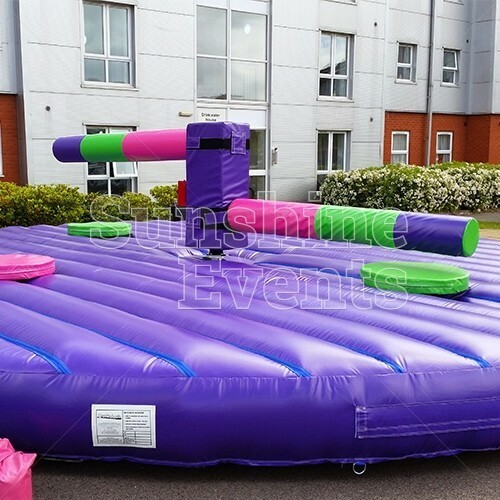 If you’re brave enough to face the sweeper arms, then you’re in for a real workout as you find yourself jumping and ducking around to avoid losing your balance on the podium. 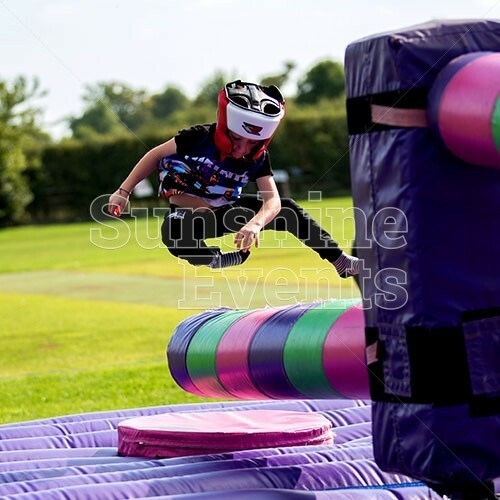 Controlled by our trained fun expert, the Wipeout Challenge features 4 podiums for contestants to use, so whether you have 4 teams select their top players to battle it out; have 4 members of the same team work together to be the last man standing; or you simply want to have a bit of fun on the inflatable and just have a laugh: there’s something for every kind of event! 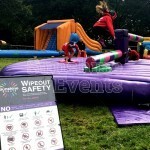 Adorned in our bright funky colours, the Wipeout Challenge is an eye-catching piece of fun equipment that is sure to draw a crowd at your event and adults and children can play against each other on this game, as it’s suitable for all ages and abilities - imagine dad trying to outdo the kids, but finds it’s harder than it looks! 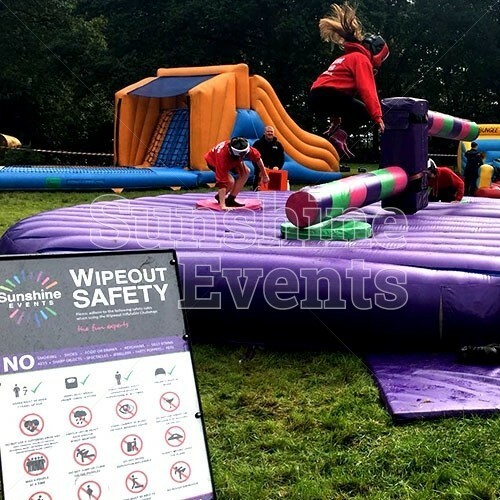 What events are the Wipeout Challenge Hire suitable for? 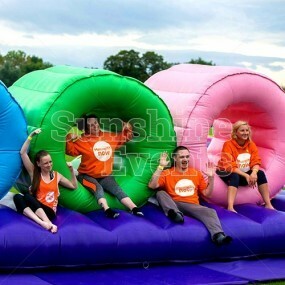 The addictive nature of the Wipeout Challenge make it a fun inflatable for everyone to enjoy - players and spectators alike. 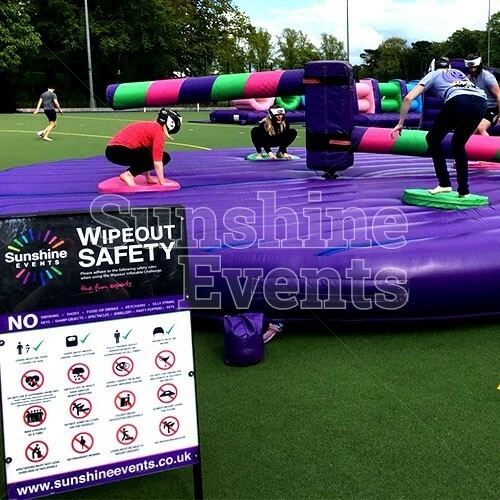 So time your moves perfectly and you will find the Wipeout Challenge is one of the best fun inflatables to use at your event. 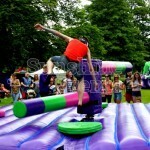 Total Wipeout was a complete success, enjoyed by many of the 1000 young people who were at the event. 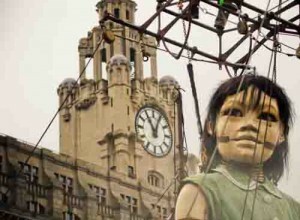 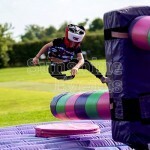 The equipment was excellent fun! 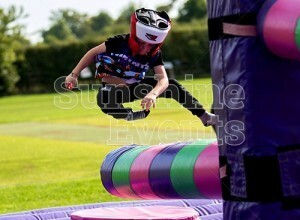 We had Wipeout at our most recent event and it was the favourite activity over the whole weekend! 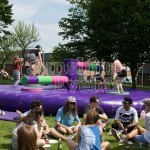 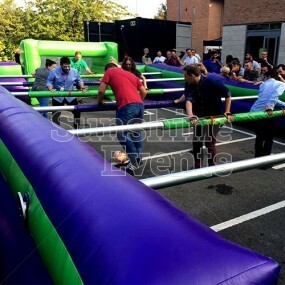 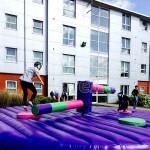 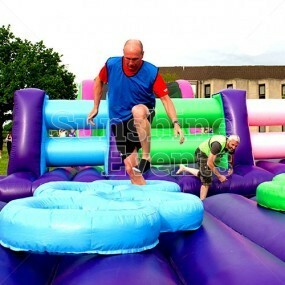 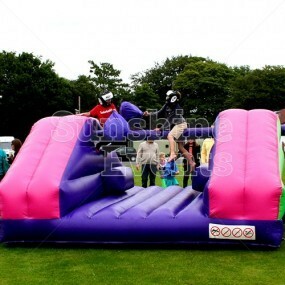 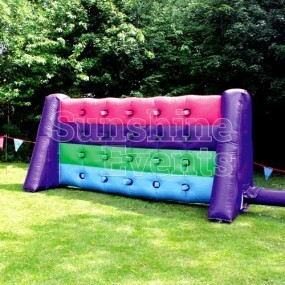 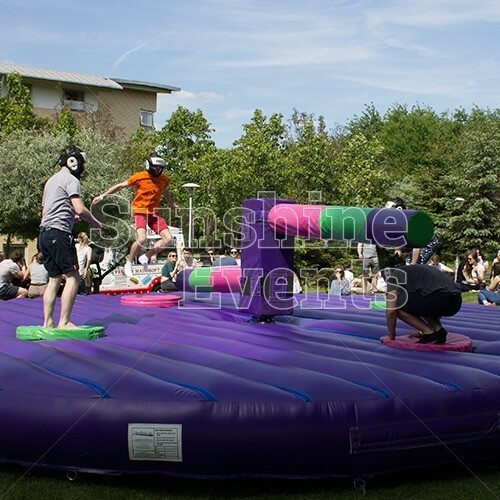 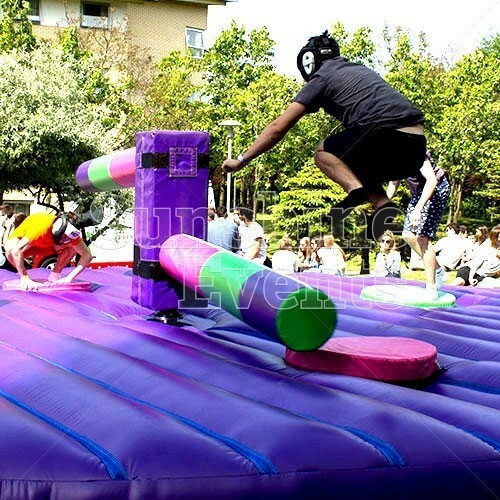 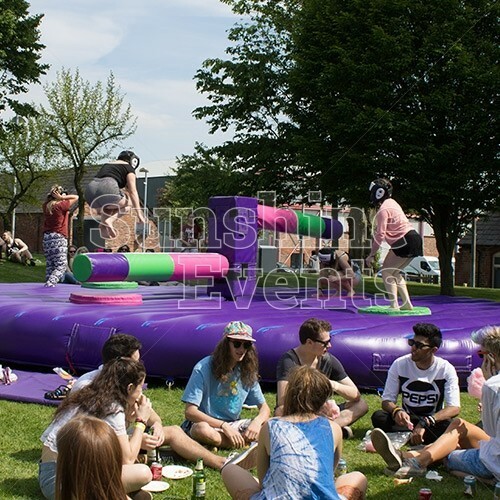 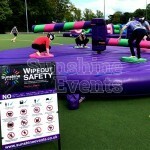 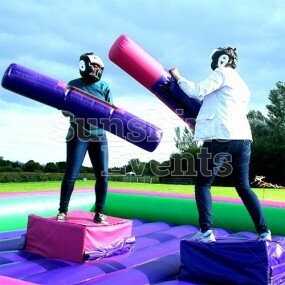 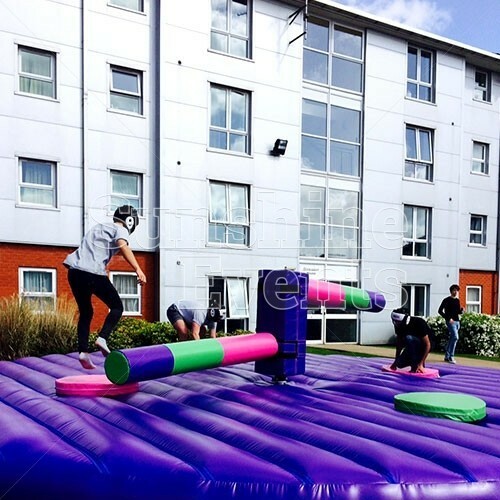 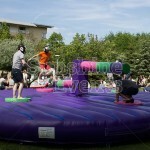 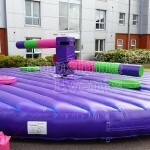 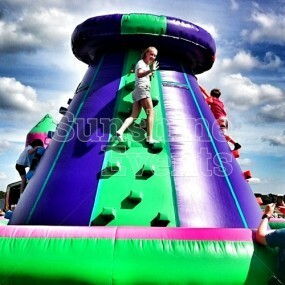 Wipeout Inflatable Challenge Hire has been added to your Event Quote.